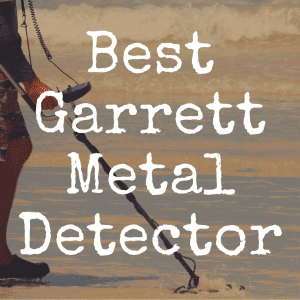 The Garrett AT Pro Metal Detector is an incredibly sleek and agile hobby metal detecting device as it can be used in all terrain, to search for all treasure (deep and superficial) for those professional hunters. The device typically goes for $550.00-$650 online. This device is highly recommended when it comes to searching for coins, jewelry, relics, prospecting, ghost town hunting, competitive events and beach/fresh water environments – searching virtually anywhere! It’s great for individuals that want to dabble with an above average performance in the water and on the land. This is actually the first device in the Garrett family (if you will) to have such a sleek design having absolutely no yellow showing. The device feels classic and light when searching for treasures! Because the device is so light (3 lbs.) it can be carried for several hours without the consumer getting exhausted. Other fantastic features would be that this device comes with cam locks and an extendable arm. 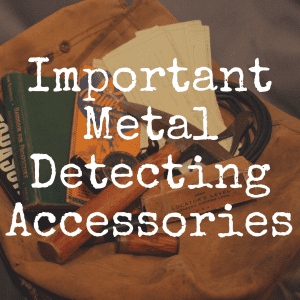 Below, please take a moment to check out the interactive table where you can directly compare the Garrett AT Pro agains tother notable metal detectors. The display on the device is extremely modern and user friendly including a Digital Target ID which goes from 0 to 99. The Digital Target ID assists the consumer by determining if the treasure is worth the dig – which is always a great added bonus! This device really has saved a lot of time. 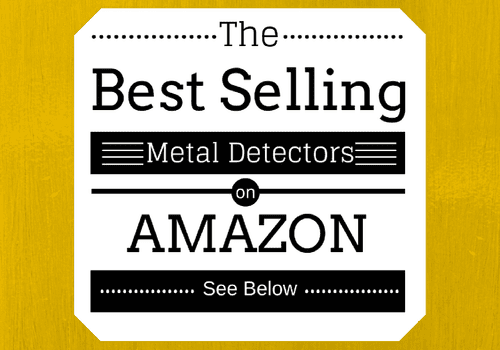 Below, take a look at some of the best selling metal detectors on Amazon, and see how well they stack up to the Garrett AT Pro as we progress throughout this review. Garrett AT Pro is found amongst many top charts, articles and blogs – and for a good reason. It’s a great right-out-of-the-box device that will pay for itself (with the items found) in no time. The device is known as a being very durable, having high functionality and excellent quality. The discrimination allows for a passer-by of trash and will pull out the items desired. The Pro-Zero mode allows the device to be learned at a much quicker rate. Though the device takes a little bit of time to get use to and learn it should only take about a week to be comfortable. Being so durable and waterproof, it’s nice for beginners to intermediate searches in all climates – including rain and at the beach! Did we mention that the device is submersible up to 10 feet? That is a great feature for our beach go-ers and river and/or creek treasure hunters. The device can handle the heat because it has a ground balance that is incredibly fast. The device does not have a standard all metal mode, but that comes as an advantage as the device deals with ground noise with much ease. The device also is known for its iron discrimination as it ignores the junk iron and can find the irons that are more desirable. The device has a key feature such as iron discrimination which will allow for maximum discrimination junk iron. If the user sets the device to 20, there shouldn’t be any issues in finding what is desired. The frequency of the device is at a high of 15 kHz which is a great sensitivity rate and can find those hard-to-find nuggets. There are also great accessories available for the end user such as submersible headphones ($99) and a nice selection of various coils. How does this device compare to Gold Metal, AT MAX and ACE 400? All four of these machines are lightweight and perfect for land and water prospecting. The Garrett AT Pro is perfect as an all-terrain mental detector when searching for things like coins, jewelry, relics, prospecting gold on the land and the salty sea. The Garrett AT Gold is perfect for land and water gold prospecting and overall excels in finding coins, jewelry and relics (over the Garrett AT Pro). The Garrett AT Gold was specifically designed for detecting gold in a much more advanced way and has an 18 kHz frequency that can help prove this point. The Garrett AT Pro does allow for use in salt water conditions where the Garrett AT Gold does not. 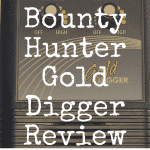 Though, it quite possibly might be the best gold detector for sale in its division. The Garrett AT Pro is the most affordable device in the Garrett AT Series with the most common price range of $550. It is a device that is intended to be for beginners who are looking for an all-terrain device. It’s also extremely easy to use, has 6-search modes and a 15 kHz frequency that is great for searching for smaller targets. The Garrett AT Gold ($650-$750) has features that are unique such as the threshold adjustment which allows for those faint signals to be detected known as the Threshold Adjustment feature. It also has a true All-metal Mode that is great for depth and sensitivity. The Ground Balance Window feature allows the consumer to simultaneously adjust to various ground conditions. The Garrett AT Max ($850-$1100) is the Garrett AT Pro in the HULK version. Yes, both devices are a light weight of 3lbs., are fully waterproof up to 10 feet, have Digital Target Identification, Iron Audio, audio and manual ground balance, a fast recovery speed, electronic pinpointing and tone roll audio, but the Garrett AT Max is so much more! The Garrett AT Max is extremely powerful and way more advanced as it has a more optimal package (better coils), backlit screen, different search modes and frequencies, more advanced headphones and a better maximum detection depth. What sets the Garrett AT Max apart is the Z-Lynk Wireless Technology. This allows for an automatic tampion of audio straight to the head phones (and also from the Z-Lynck Wireless Pinpointer). The head phones that come with the device are more advanced as they contain high fidelity audio. Cords are now obsolete! Another important difference between these two devices is the coils that are included. The Garrett AT Max comes with the standard coil and then the 13” Search Coil that provides the best depth and most accurate pin-pointing. This is important because the device is will provide a stable operating experience, a better ground balance and the target identification is way more accurate. The coil is also waterproof and comes with a cover. Both devices come with a discriminate operating mode, but the Garrett AT Max comes with an All-Metal mode which is an optimal searching function. For the extra money, the Garrett AT Max would be more recommendable as opposed to the Garrett AT Pro. 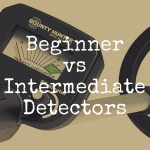 If the consumer is looking to become very serious with their metal detecting and is looking for a device that offer so much more for only a few hundred dollars – this is it! If not, the Garrett AT Pro is still a fabulous device. You can read our entire Garrett AT Max review here. 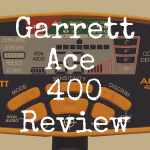 The Garrett ACE 400 is a step or two down from the Garrett AT Pro and a great device! At around $400, the Garrett ACE 400 can provide a beginning user with advance features like Iron Audio, Digital Target Identification and Frequency Adjust. The main difference between the two would be that the Garrett ACE 400 does not have ground balance adjustment or is a waterproof device. The length of the Garrett ACE 400 is limited to 42” to 51” where as the Garrett AT Pro is adjustable. The Garrett ACE 400 has an operating frequency of 10 kHz where as the Garrett AT Pro has a frequency of 15 kHz. The operating mode of the ACE 400 is 5 and the Garrett AT Pro is discriminate. The devices are the same weight (3 lbs. ), audio identification of 3-Tone and same search coil size (8.5 X 11”). Garrett AT Pro is still highly recommended over the Garrett ACE 400, but if the consumer is interested in a good device and does not want to spend the extra money, the Garrett ACE would be a fine device. Overall, the Garrett AT Pro metal detector is a classic machine that consumers are generally happy about. The detector looks and feels very classic as it has a sleek design and is light weight (allowing the consumer to hunt for hours). You not have to spend much time trying to navigate your way through finding things with this screen. Though this is not the cheapest device on the market coming in around $600, it’s a great value (when compared to other units like it). When purchasing the device, you have several different coil options to choose from. The top features of this device would be that it comes with several different options and at a high-valued price. Some of the top features of this device would be the 6 detection modes (3 standard and 3 pro), high res iron discrimination, ground balance, detector frequency is perfect for small targets, gold and jewelry, iron audio, top of the line Target identification (between ranges of 1 to 99) and a pro mode audio! This device is very simple to learn and use. It does a great job and gets the job done. Once the individual gets use to the device, the audio portion will be the best feature because it has multi-tone feedback to help identify what the target is before getting the shovel out. The consumer will be confident in their choice! If you enjoyed this article, please “like” our Facebook page!